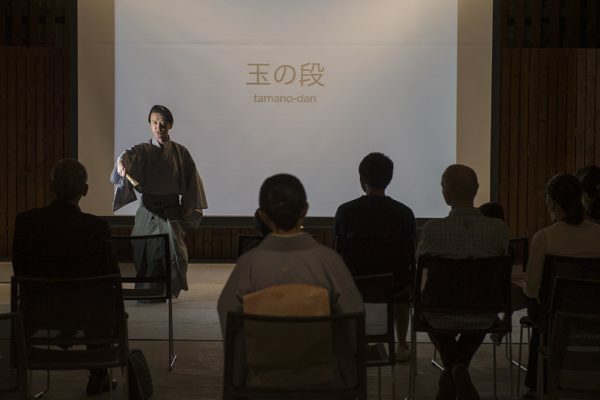 Japanese culture old and new has been on show in Niseko this summer, with two inaugural events this month promising to become annual staples. 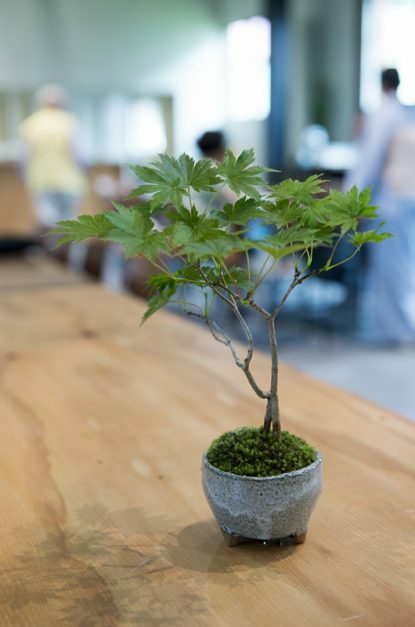 Domestic artisans and internationally minded entrepreneurs from across Japan are increasingly targeting Niseko as a place to connect directly to an international audience. 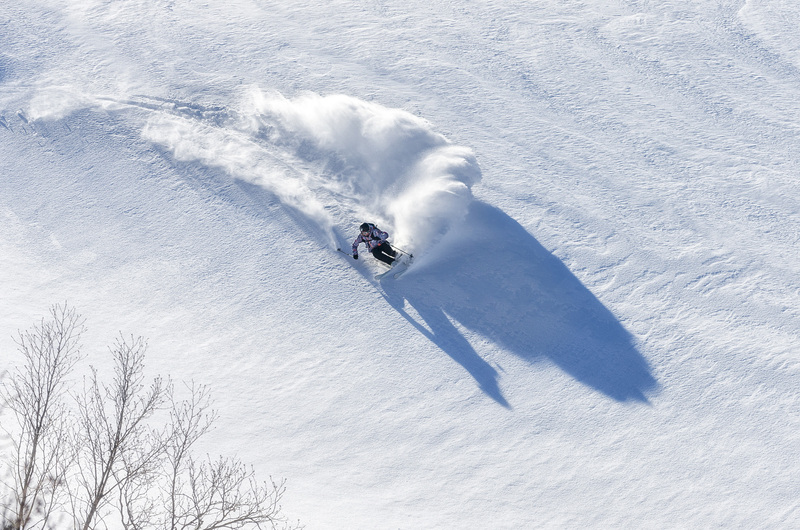 This has resulted in a number of new art and culture events that are adding layer-upon-layer to Niseko’s year-round, tourism-based cultural fabric. Extrad is a dynamic art and culture festival founded by Tokyo-based venture capitalist Takanori Tayama. 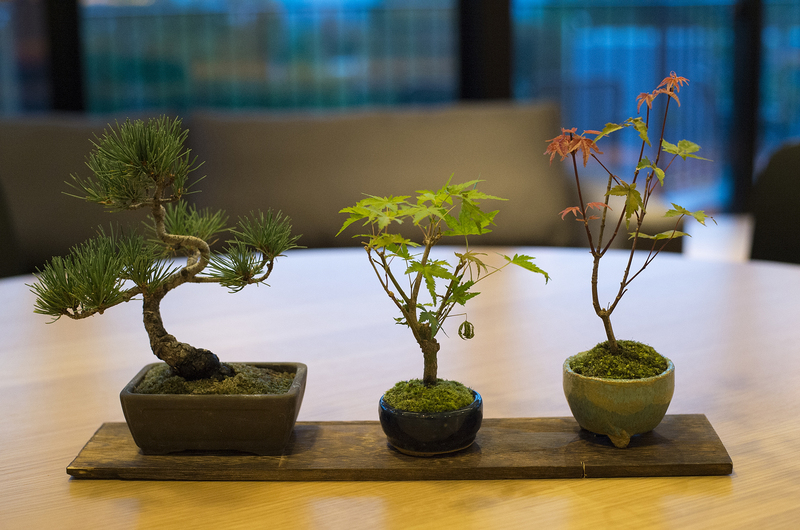 The innovative event format brought together in Niseko a number of artisans from across Japan – all highly respected masters in their craft – in a series of demonstrations and workshops. 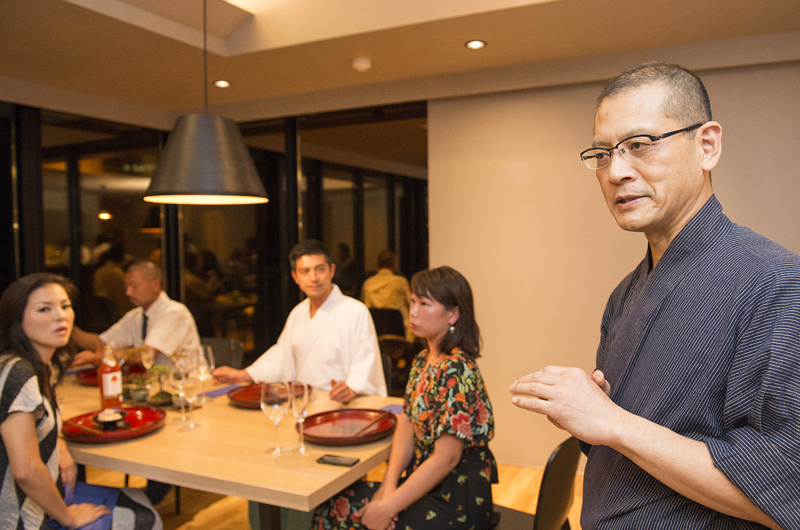 The event culminated with a “Shojin Ryori” (traditional Buddhist temple cuisine) dinner made with 95% local organic produce, each course paired with local wines and sake. 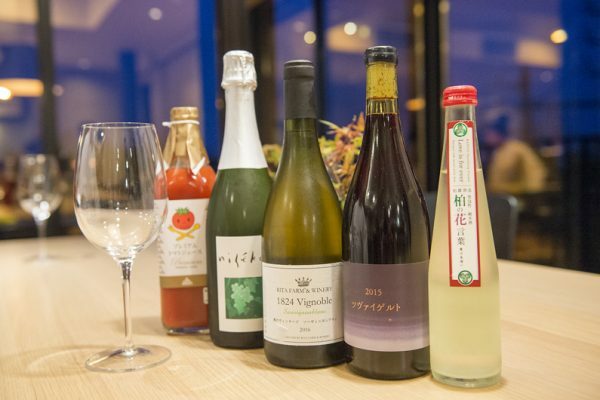 The dinner was held in the spectacular Aspect Niseko condominium, designed by prominent Niseko architect Riccardo Tossani and perched on the Hirafu Middle Village bluff. 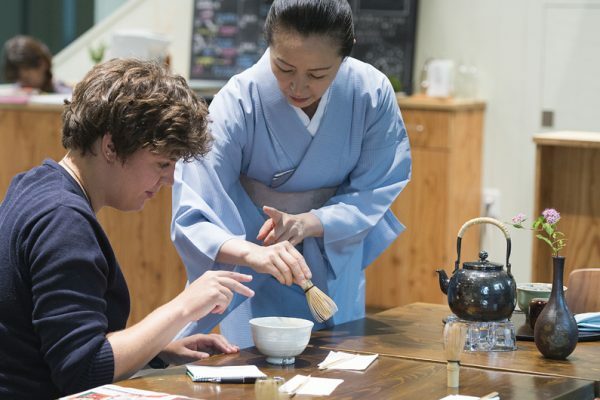 Kimono fittings and tea workshops aren’t unique in Niseko, or any tourist spot in Japan, but remarkable here in Niseko this week with the Extrad event was the sheer level of mastery on display. 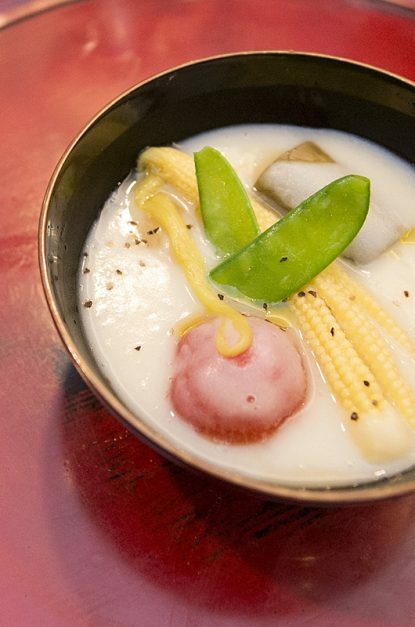 Chef, pioneer and advocator for Shojin Ryori, Toshio Tanahashi has appeared on the world-famous TEDx educational talk stage, and travelled around the globe promoting this artisan cuisine. 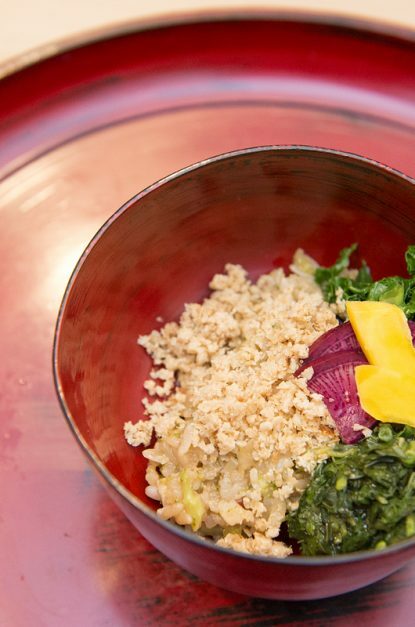 Shojin Ryori is totally vegan and aims to express Buddhist philosophy through the purity and beauty of natural flavours, and also emphasises no harm to the produce. 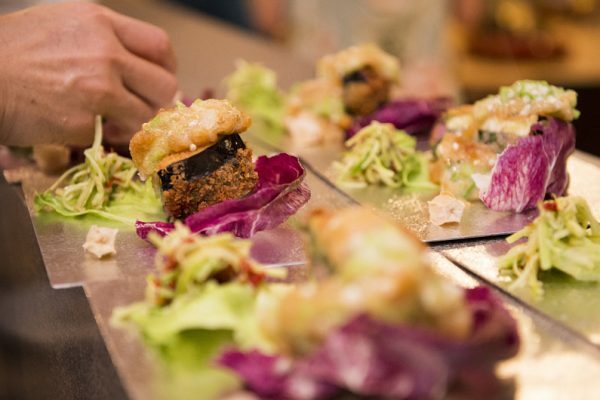 True practitioners go so far as to only use vegetables that allow its host to survive after harvest – no potatoes or root vegetables, yes to vines and trees). 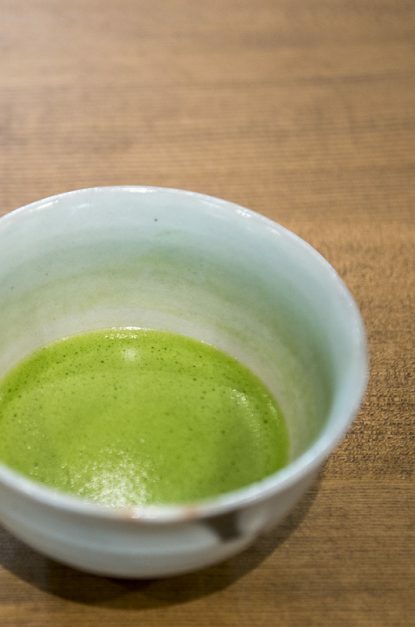 Tea ceremony teacher Soyu Sensui has mastered a style of ceremony know as the “urasenke” style, dating back to the 16th century. 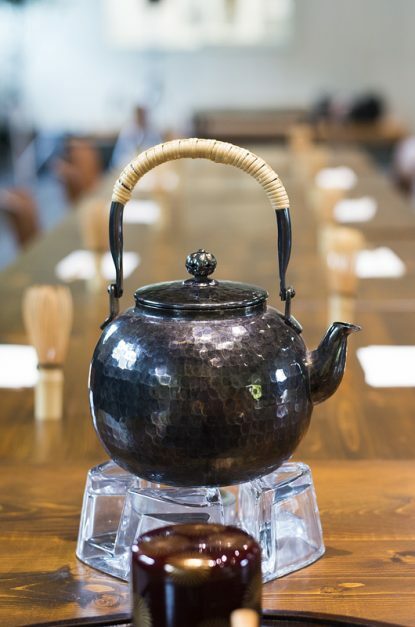 Sensui-sensei is one of Japan’s pre-eminent masters in the art-form, regularly called upon to entertain diplomats and world leaders, including at one time Princess Diana. Master Noh performer Takeda Munenori has brought his art to over 100 stages across Japan and Asia, with the latest performance in 2017 at Tokyo’s prestigious Ginza Six building. 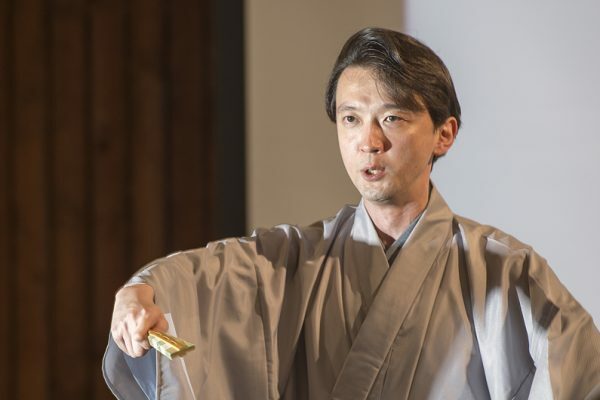 Motonari Okura presents Kyogen, a spin-off of Noh. 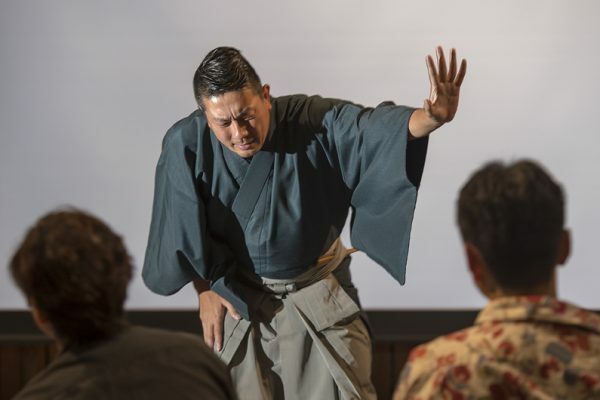 He has performed in Switzerland, Singapore and China and has evolved Kyogen to a new, easy-to-appreciate atform, “Kyogen Lounge”. 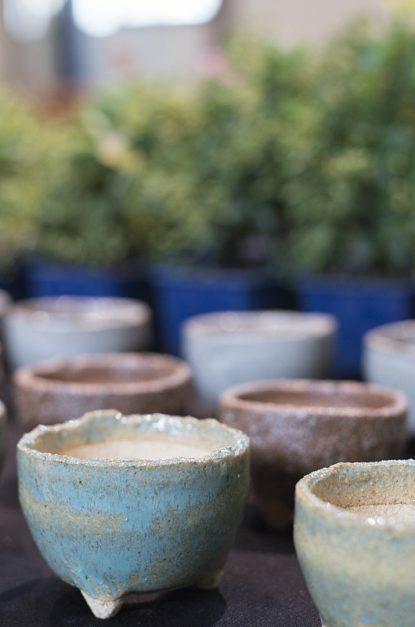 Each artisan is at the top of their craft, renowned nationally and abroad, and all share a common trait – the unrelenting pursuit of awareness, appreciation and a search for a future for their craft. 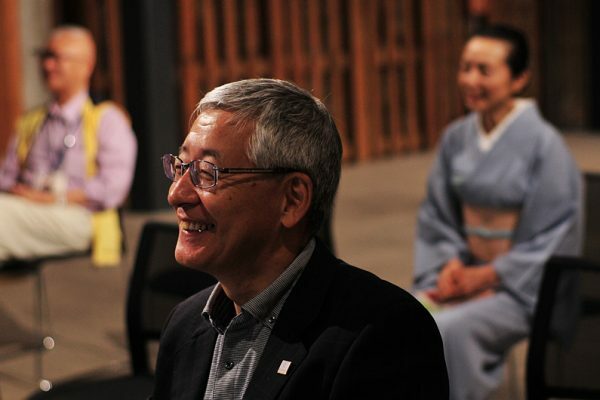 Organiser Tayama-san said Japanese people are not that interested in traditional culture any more because many rarely have a chance to see it. 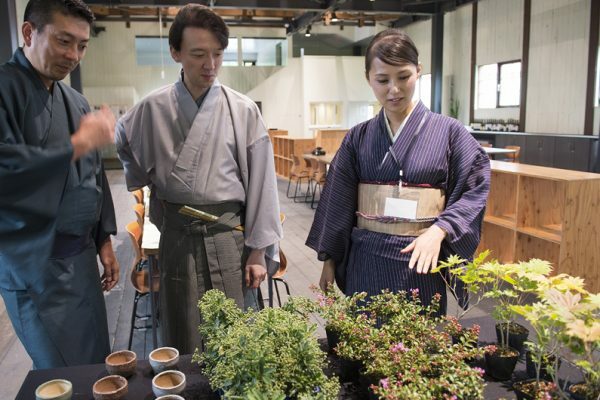 Tea ceremony, bonsai and Shojin cuisine have fans around the world, but are little-understood or appreciated by the average Japanese. Mr. Tayama is planning to host Extrad 2018 in tandem with Niseko Town’s Kaributo Shrine festival, held each year in the last weekend of August. The event is looking for sponsors and supporters, you can help crowdfund the project (site in Japanese). Over the weekend, AYA Niseko hosted its second Art Festival, hosted by newly opened Kiyoe Gallery in Niseko’s newest condominium hotel, AYA Niseko. 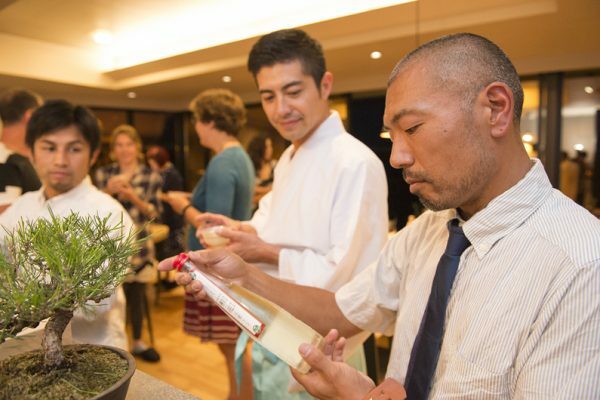 The festival included a new lineup of artwork on display, wine and dine sessions with prominent art critic Kouichi Mori, and workshops by featured artist and Zen Buddhist monk Tengshing Kazama, who combines and re-examines traditional Buddhist faith through sculptures and canvases carefully crafted with thread traditionally used in Japanese gift-giving envelopes. The lobby was taken over by art old and new, and free violin and piano concerts were held in the AYA Niseko lobby. Kiyoe describes her curatorial vision as keeping a big range of different mediums on show, and focusing on Hokkaido based artists. At each changeover there are paintings, prints, sculptures, ceramics and more. Ms Kiyoe describes AYA’s first summer art festivals as “tests” – the first was held in July and the second, this August, both saw impressive attendance throughout the gallery and hotel, where artworks had taken over the lobby space. Plans are to hold regular art events through summers to come, as well as regular events in the gallery space through the winter months. 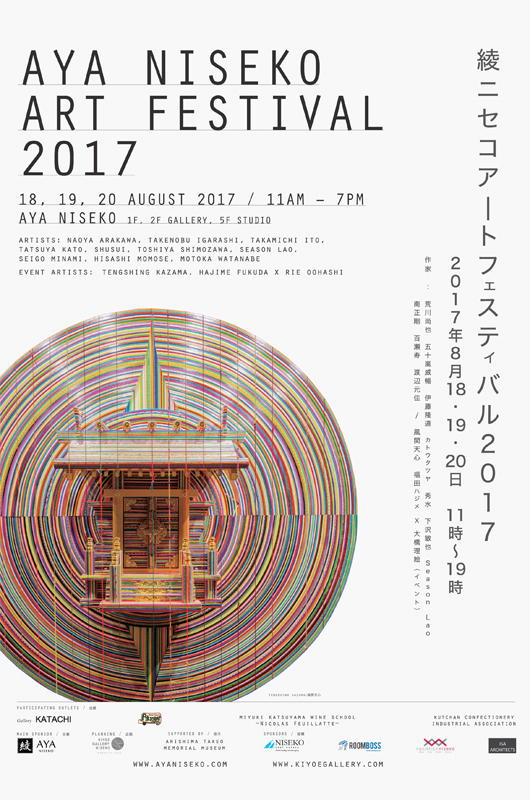 Those interested in attending the AYA Niseko Art Festival and Kiyoe Gallery can see further details on their website.